We made this review for you with a key question in mind. Can this app help you make a site that gives your visitors what they are looking for? Can you make an effective website? Easy, but easier on iPad than iPhone because of the size of some elements. Can really help you deliver websites for visitors and search engines, but limited in some areas. Still the only app to build websites in exactly the same way on all platforms - iOS, Android and computers. A clean interface which is for the most part intuitive. But some aspects of the drag-and-drop function have a learning curve. Satisfying results are possible, but the lack of layout flexibility and SEO options is a problem for the potential success of your site. Jimdo Creator app is a useful assistant but you will need to visit Jimdo on a computer to make your website truly effective. 2 stars for the chances of completing a website using just the app. Very easy and quick to use. Intuitive design and helpful tips throughout. A useful assistant to Strikingly for desktop, but fewer than half of the capabilities of the website builder are available in the app. 2 stars for how likely you are to finish the website using only the app. Unintuitive but workable given some time to learn your way around. Enough features and tools for you to create effective content but limited and old fashioned design possibilities. If you can live with the aesthetic limitations you have a reasonable chance of completing a usable website. Well designed but unconventional so there is something to learn. Universe sites can be stunning but are invisible to search engines, don't fit either computer or phone screens and miss many functions for business. If design is all you care about you might complete a site. For any other purpose look for another app. If you have some experience with other website builders, get ready to be confused. Websites look good but load slowly. This and other SEO failings mean there's no chance of your content being noticed by Google. Boomer gives you few opportunities to organize and present your content the way you want, so chances are you'll give up. If we were to choose 1 from among the 3 factors we’ve focused on in our reviews as the most important it would be effectiveness. There’s little focus on this in other website builder review sites, which I think is crazy, because very few people just want a website that nobody sees. Effectiveness is really our assessment of the chances of a website being viewed and appreciated. We have 2 strong contenders in the best website builder for building effective website category, SimDif and Weebly. There’s little to choose between the apps in their ability to build websites that can be found by search engines, both have all the SEO features necessary. Weebly has the edge in overall strength of features and capabilities with really an incredibly powerful pocket website builder. SimDif has the edge when it comes to guidance on how to be effective. Worthy of mention are Strikingly and Jimdo Creator, but with either of these 2 it’s hard to imagine that you wouldn't want to use a feature only available in their respective desktop versions. 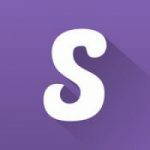 Looking at the ease-of-use metric, 3 of the apps are so easy to learn and to use that we gave 5 stars to Simpl, Strikingly and Jimdo Creator. 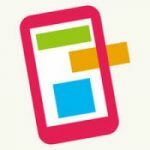 At first glance you might think that Weebly deserves higher marks as if does have a superbly clean editing interface, but the awkwardness of drag and drop on a phone is a problem. The blocks approach of Strikingly, SimDif and less explicitly in Jimdo Creator is without doubt easier. 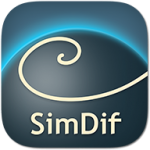 SimDif deserves 4 stars for ease-of-use on iPad, but given that many more people use iPhones than iPads the lower rating is probably fair for the iOS app overall. In the last metric, chance of completing a website, SimDif and Simpl have scored highly. 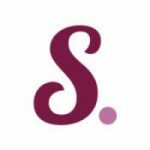 Simpl is perhaps luckier to get the mark, because many who notice the limitations of the app in terms of content creation and design possibilities will give up for these reasons. 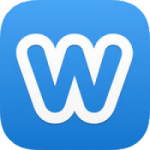 Weebly in many ways deserves a higher mark, and the only reason for it not receiving more than 3 stars is that there are more than a few capabilities which are only available in Weebly for desktop, and our rating is for the chance of completing using only the app. However, unlike in the cases of Jimdo and Strikingly, Weebly offers enough capabilities to make me believe that many people could happily live without the extra features of the desktop version if they had to, and could complete an effective site without a computer. Overall, it’s hard to choose between SimDif and Weebly. Weebly offers more capabilities. Using SimDif will mean that users are required to know less about web content organization and what’s important to include. Weebly can help you create beautiful websites whether you have an experienced eye for design or not. SimDif will make you work a little to get a visually pleasing result, although it is certainly possible.